AAfG will be participating in the END AUSTERITY NOW demo, organized by the People’s Assembly Against Austerity, and will form part of the International Bloc. 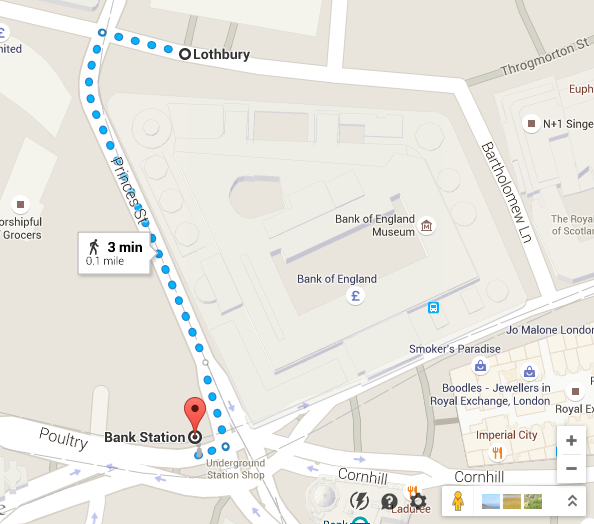 Please note that the assembly point for the International Bloc will be on the corner of Lothbury St and Moorgate (behind the Bank of England), a 3min walk from Bank station at 11:30am. Please click to see map for the event. <<With the Tories going it alone in government we know exactly what to expect. More nasty, destructive cuts to the things ordinary people care about- the NHS, the welfare state, education and public services. We’ll be assembling the demonstration in the heart of the City of London right on the doorstep of the very people who created the crisis in the first place, the banks and their friends in Westminster. We demand that the bankers and elite should pay for the crisis and not the vast majority who had nothing to do with it. Spread the word and come along to demand an END TO AUSTERITY. This entry was posted in Events & Actions by blacksymphony88. Bookmark the permalink.